We know your pets are special. We think their healthcare should be, too. complete medical and surgical care. Is your pet in pain? Let us find out why! Newport Animal Hospital offers international pet travel preparation for your convenience. By allowing us to research your pet’s requirements and prepare the documentation you can avoid unnecessary and costly quarantine of your beloved family member. We are always accepting new clients at all of our locations. We are happy to assist you. 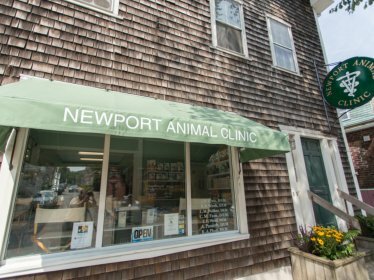 We are always accepting new clients and patients at Newport Animal Hospital! If you have questions, or would like to make an appointment, please contact our offices. 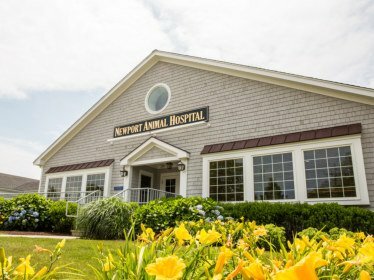 Newport Animal Hospital is pleased to provide you with a list of our offered services. Newport Animal Hospital is pleased to provide you with a list of our offered services. Take a moment to find the right service for you and your pet. Our pets play an important role in our lives, we want them to take part in the joys of the season. While there is lots of sunshine to be had, some aspects of summer can be dangerous to our pets. Take a moment to read these safety tips. Originally from upstate New York, Dr. Randy Wirth attended the University of Michigan where he received his B.S. in Biology. Upon graduation, he began studying Veterinary Medicine at Cornell University. He received his doctorate in 1989 and began to practice medicine in the state of Connecticut. He relocated to Rhode Island and became a member of the NAH team in 1991. His occupational interests include Canine Reproduction and Internal Medicine. Dr. Wirth and his family share their lives with a sweet little canine fluff-ball named Dewey and a coconut retriever named Berry! Originally from the Boston Area, Dr. Lisa Walker attended the University of Colorado at Boulder, where she received a bachelor’s degree in Environmental Conservation. Following graduation, she began studying Veterinary Medicine at The Ohio State University. She received her doctorate in 2000, and relocated to Rhode Island. Her occupational interests include Soft Tissue Surgery and Internal Medicine. She currently resides in Newport with her husband, two children, and their sweet pup Maggie. Dr.Wood attended The University of Rhode Island’s Wildlife Biology and Management program. He then moved to Montana and attended Montana State University, where he completed the Pre-Veterinary curriculum. He then attended Colorado State University, where he received his Doctorate of Veterinary Medicine in 2006. 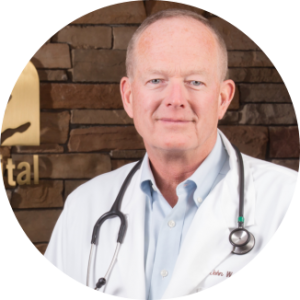 He spent the next year practicing general veterinary medicine in Connecticut, and then relocated to Montana, where he spent 5 years working, not only as a general practitioner, but as an emergency veterinarian as well. In 2010, Dr. Wood decided it was time to return to his native state, Rhode Island! He joined the Newport Animal Hospital Team in January of 2011, and we couldn’t be happier! 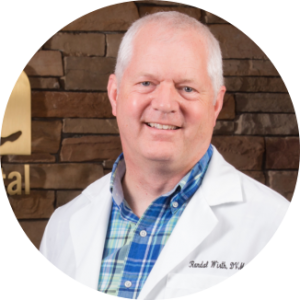 Dr. Wood’s special interests include oncology and chemotherapy, general and soft tissue surgery, and pain management. Originally from the Boston Area, Dr Nhianh (Annie) Pasierb attended Boston University, where she received her bachelor’s degree in both Biology and Mathematics in 2000. After graduation, she attended Tufts University School of Veterinary Medicine and received her Doctorate in 2006. She continued her education with a rotating internship at Angell Animal Medical Center in Boston. She spent the following three years on active duty as a Captain in the U.S. Army Veterinary Corps. After another year in a specialty surgical internship at Sonora Veterinary Specialist in Phoenix, AZ, she decided to move back to the New England area and joined the Newport Animal Hospital Team in December 2012. 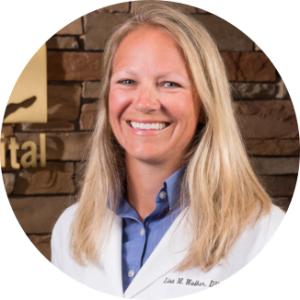 Her occupational interests include soft tissue and orthopedic surgery, and pain management. She currently resides in Jamestown with her husband, Mark, and their three Himalayan cats, Norma Jean, Janie and Kabuki. 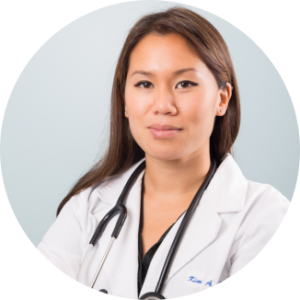 Dr. Kim Phan is originally from the San Francisco Bay Area. She attended the University of California, San Diego where she graduated with a degree in Biochemistry and Cell Biology. She decided to relocate to the northeast and attended Cornell University for her DVM. 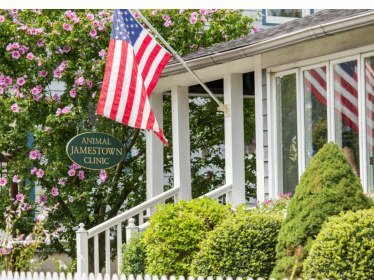 Charmed by the beautiful New England coast, she decided to move to RI and joined the Newport Animal Hospital team in June of 2013. 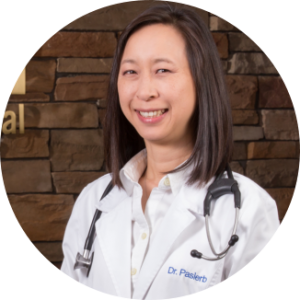 Dr. Phan’s occupational interests include Dentistry and Surgery. She currently resides in Middletown with her Bull Terrier, Rufus and pet rat, Ham. 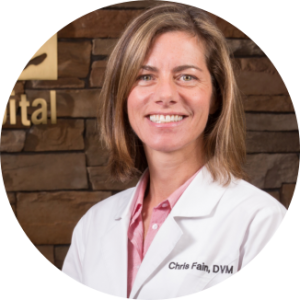 Originally from Harvard, Massachusetts, Dr. Fain received her undergraduate degree from Tufts University. She received a Master’s degree in Wildlife Biology and Management from Colorado State University in 1995. From there, she entered Colorado State’s Veterinary program where she received her DVM in 1999. 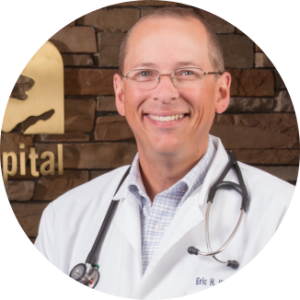 Dr.Fain has always considered it a privilege to be able to serve others through helping their pets. Her current veterinary interests include emergency medicine, reproduction, infectious disease and soft tissue surgery. She looks forward to building relationships with her clients and their pets each day. Thanks for getting me all shaved and cleaned up after my long romp around Newport! It was a heck of a vacation! I am finally home, clean and comfortable in my own (very short) fur. Sorry I am such a grouch when I am there!